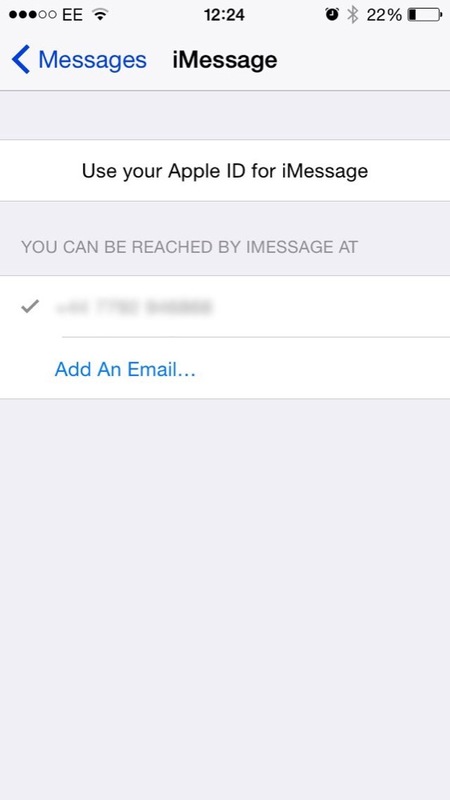 One of the best features (in my opinion) of iOS 8 and OS X Yosemite is the ability to send SMS messages to your contacts from the Messages app in OS X. However, enabling it isn't as easy as it seems. I've scoured various posts online and found quite a few different suggestions (mostly in comments) so I've compiled a few of them here. Hopefully, this will be a definitive guide (I'll endeavour to add anything that goes into the comments). 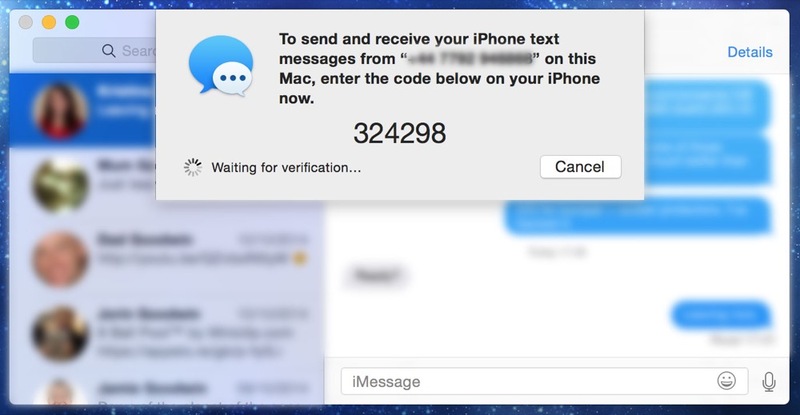 The most common problem is people not getting the activation code in Messages. If that's happening to you, skip to this part. That's it! 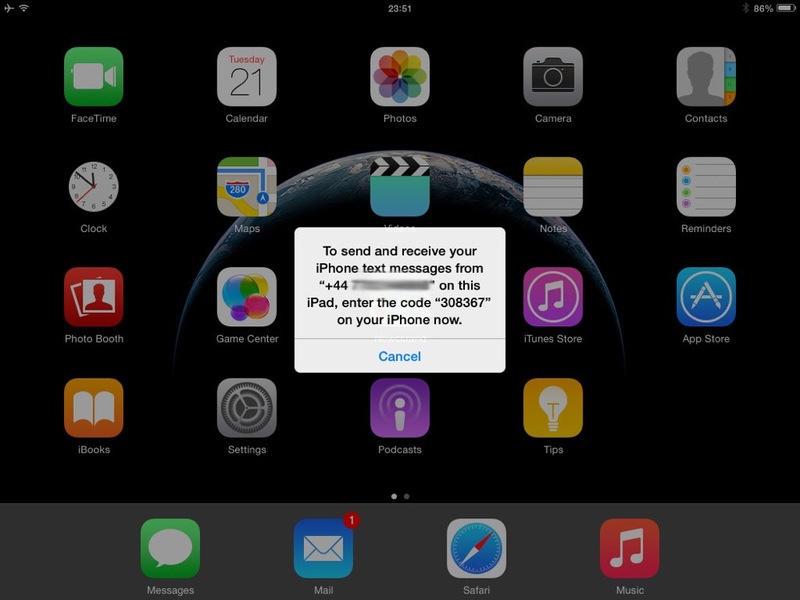 From now on you should be able to send and receive SMS messages in Yosemite on your Mac. There are two popular methods online to fix it, but I think both cover essentially the same thing. 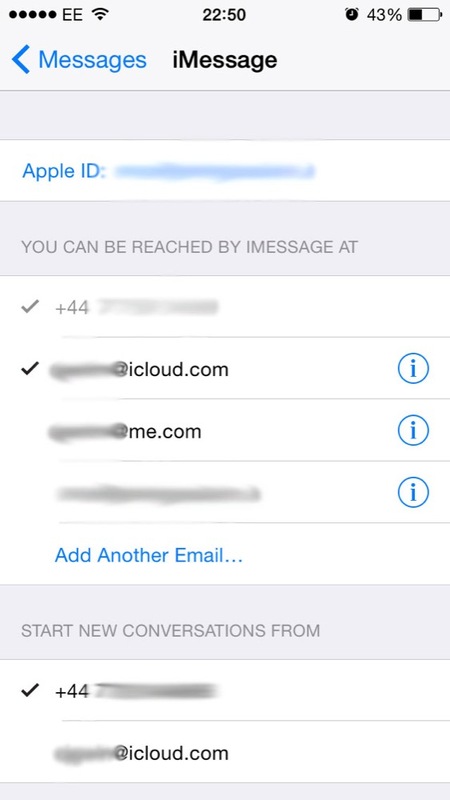 You must have your iCloud email address enabled in Messages (it might not necessarily have to be your @icloud.com one, but I recommend it to prevent problems). 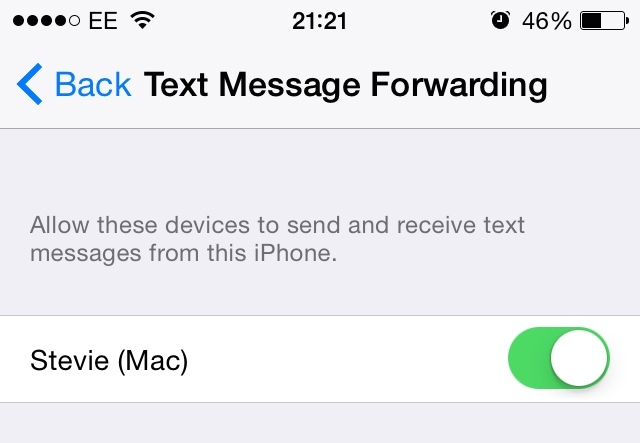 Once you've enabled your iCloud email address on both devices, try enabling Text Message Forwarding again. This is what fixed it for me, I have to thank commenter C Mac on iDownloadBlog for providing this absolute gem! If enabling your iCloud email address doesn't work, the next most popular suggestion in the comments is to sign out of iCloud, iMessage and even FaceTime on all of your devices, then sign in again one-by-one starting with your iPhone. 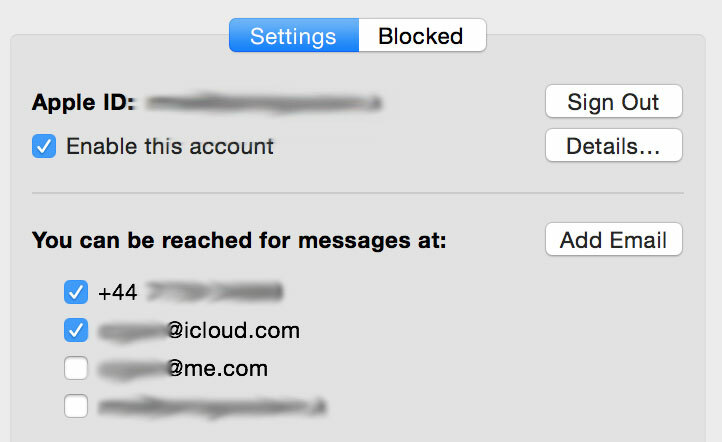 However, I get the impression that all this has for most is to enable the @icloud.com email address, because it's turned on by default. Let me know how you get on in the comments. As I said, if anyone has any other problems / fixes I'll try to incorporate them into the post.